Dubai: Al Wahda coach Henk ten Cate was gracious in defeat as Shabab Al Ahli Dubai triumphed over his side in the Arabian Gulf Cup on Friday evening. The Dutchman, however, questioned whether the game should have gone ahead during an international break which saw his side deprived of players who have national commitments with the UAE senior national squad and Olympic team. 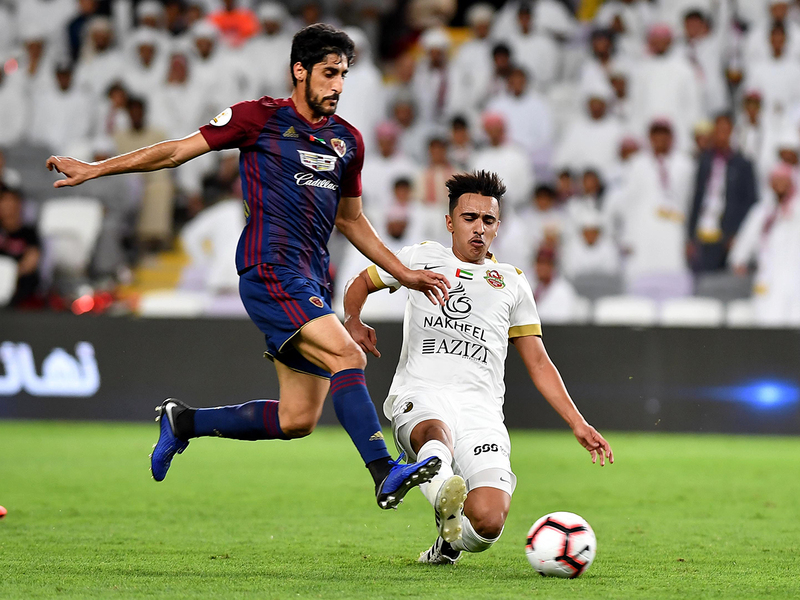 The Dubai club overcame Al Wahda at Hazza Bin Zayed Stadium in Al Ain, but required extra-time to see off their rivals from Abu Dhabi. Henrique Luvannor opened the scoring for Shabab but Sebastian Tagliabue levelled just before the break. Jaime Ayovi struck twice in extra-time to ensure the trophy would be heading back to Dubai. While Ten Cate accepted that Shabab Al Ahli Dubai deserved their victory, he was less than happy with the scheduling of the event. “First of all I would like to congratulate Al Ahli on their win,” he said. “We put in a great performance in a game we were not expected to win. “We make a big issue about fairplay these days. Fifa is always going on about it and we see it on boards at stadiums around the world. But in this game, there was no fairplay. It was not done here. “I’m talking about the game itself. Al Ahli won and deserved to win the cup. I’m talking about the game taking place and everyone here knows what I mean. If you want fairplay, you have to treat the two teams in the same way. “If you take six players out of one team then you must take six players out of the other team, too. We had many players selected for the Olympic team. Maybe Al Ahli are smart to go around this law, but it is not fairplay. “It is also a pity for the young players who missed out on the final. When you reach a final, it is the cherry on the cake and they took the final away from all these young players. Shabab Al Ahli’s Henrique Luvannor was doubly ecstatic at the victory as he was also named Player of the Tournament for the Arabian Gulf Cup. “I am delighted to win the championship and achieve our first title of the season,” he said. “I also scored and won the award of the best player in the final. The cup is a gift worthy of the great efforts I have made. “Frankly, our young players deserve this trophy, thanks to the great efforts of coach Rudolf Arruabarrena and his team. He took control and dealt with many problems with his high professionalism and intelligence.